Major Nick Haston, who was Mackay’s deputy chief of staff, revealed he had resigned from the army in protest at bureaucratic incompetence. He said troops had been so short of vital equipment that his staff bought spares on the internet. “I would say that some of the people that procure (equipment) in our Ministry of Defence haven’t a clue,” said Haston. 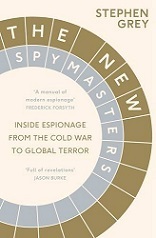 The criticisms are contained in a new book, Operation Snakebite, by Stephen Grey, a Sunday Times journalist. Based on more than 200 interviews with British and US military personnel, the book uncovers profound flaws in Britain’s preparation for the controversial Helmand deployment. A senior Foreign Office official acknowledged to Grey that there had been an “absence of serious planning” before the deployment in 2006. Eighteen months after British troops arrived in southern Afghanistan, a secret memo to Whitehall from Mackay described a “grave crisis” over equipment. Scimitar tanks could not go into reverse unless their engines were restarted and Vector armoured vehicles were out of action because “the wheels just kept falling off, literally”. According to General Sir David Richards, the overall Nato commander in Afghanistan in 2006 and 2007, the British expedition was plagued by “over-optimism, over-confidence and a misunderstanding of the intelligence picture”. The British criticisms will make alarming reading for military and foreign policy advisers to President Barack Obama, who is expected to announce the results of a major strategic review of the US presence in Afghanistan later this week. Obama has already announced a sharp increase in the numbers of US troops and his review is expected to conclude than an Iraq-style “surge” of both military and civilian forces represents the best hope of ending a conflict that will become America’s longest ground war next year. Obama was reported last week to be considering increasing US forces to about 65,000 from 30,000, bringing the total Nato presence to around 100,000 troops. He is being urged to launch a simultaneous civilian surge of aid and reconstruction experts whose main aim will be to strengthen the authority of village elders and other local leaders in the hope of isolating Taliban militants. The number of police in Afghanistan will also be sharply increased. Robert Gates, the US defence secretary, acknowledged last week that “trying to come up with new approaches?that enhance our prospects for success is hard work, frankly”. General Sir Richard Dannatt, the current British chief of general staff, admitted to Grey that British troops were sent to Helmand in insufficient numbers with insubstantial equipment. Dannatt blamed a political calculation by Tony Blair, the then-prime minister, that “we’d be substantially out of Iraq by the time of the Helmand deployment”. Dannatt added: “We would never have knowingly engaged on two major operations to run simultaneously with an army organised to do one”. There had also been too much wishful thinking that the local population would welcome Nato. Instead the reaction was “rather similar to prodding the lion who was otherwise kipping in the corner, minding his own business” and troops had ended up fighting local tribes as well as extremists. “In the early days we probably wound up — maybe still are — killing lots of farmers,” he said. When he arrived he was told by a senior western diplomat that Nato troops were defending a government led by Hamid Karzai, who was “not the president we want nor need”. Karzai was said to be isolated, erratic and surrounded by corrupt and venal ministers. Lieutenant General Sir Nick Houghton, a former commander of joint operations who is due to be promoted to vice chief of the defence staff in May, complained of a political ambivalence that “infects national, international and Nato thinking” and makes it hard for commanders to justify casualties in Helmand. “That is why I say for Christ’s sake, give us political conviction, moral conviction about what we’re doing in Afghanistan,” Houghton said. Thanks for this and your programme last night. I wonder what you make of the views of Richard North and his “Defence of the Realm” blog ?